Freight forwarders and non-vessel operating common carriers (NVOCC) make up a vital part of the international shipping industry. Their most basic function is to help individuals and companies import/export goods. However, if you’re like most people, you might be a little confused as to exactly what services they each offer, how much they cost and even where to find companies. If you’re simply looking to move some goods, you can use the form above to start comparing companies. To learn more about freight forwarders & NVOCCs keep reading. A freight forwarder is an individual (often referred to as a forwarder and/or forwarding agent) and/or company that helps with the logistics of international shipping. However, they do not ship the goods themselves, instead they contract with international shipping companies to actually move your goods from point A to B. So if they aren’t shipping your goods, what do they do and why would you need one? A non-vessel operating common carrier (NVOCC) is quite similar to a freight forwarder in many ways. NVOCCs, like freight forwarders, do not have ownership of their own vessels. Instead they contract with cargo and shipping companies to perform the actual shipment. They will issue a bill of landing (B/L or BOL) for goods arriving by ship. These are documents that show that the goods have been received for transportation along with their point of origin and destination. NVOCCs focus almost exclusively on ocean based international container shipping, although many will offer services either side of the ocean portion of the shipment. What is the difference between a freight forwarder and a NVOCC? While freight forwarder and NVOCC are often used interchangeably because they offer so many similar services they do offer a few important differences. A NVOCC assumes responsibility for the shipment, something not all forwarders do. US based NVOCCs & Ocean Freight Forwarders (OFF) must get an Ocean Transportation Intermediaries (OTI) license from the United States Federal Maritime Commission. To get one NVOCCs must proof of financial responsibility to be issued one. Foreign NVOCCs do not need an OTI license, but can still apply for one if they wish. NVOCCs can own their own containers. In this section we outline typical costs associated with freight forwarders. However, please keep in mind that the focus here is on the types of costs you can expect, not the actual amount you will spend since that depends on what you’re shipping, how far, etc. You may also want to visit our international shipping costs page to get an idea typical rates for 20ft and 40ft FCL and LCL container loads. Freight Costs: This is the cost of actually moving your goods from their origin point to their destination. The cost will vary depending on the route, distance and mode of transpiration. Generally speaking more common routes and shorter distances tend to be cheaper and less common, longer routes are more expensive. Moreover, ocean/sea freight is the cheapest method of transportation, followed by rail, road and finally air freight being the most expensive. Port/Cargo Charges: This is the cost of loading and unloading your goods at either end of your shipment. Port charges generally refer to the costs of moving your goods by sea whereas cargo charges can include costs associated with airports, distribution centres, etc. Custom Charges: This is the cost of importing (and sometimes exporting) goods internationally between countries. Your freight forwarder should be able to help you figure how much you need to pay and to who. Consular Fees: These are fees associated with documentation including notarial, documentary and legalisation fees. Insurance Costs: This is the cost to insure your goods. The costs will vary depending on your method of transportation, route, etc. Marine insurance covers shipments by sea, air cargo insurance covers shipments by air and contingent cargo insurance is a general insurance policy that covers shipments by any and all means depending on what is specified in the policy. Handling Fees: These are fees and charges associated with loading, unloading and handling your shipment. The cost will vary depending on weight (lighter is generally cheaper) and how hazardous your goods are to transport (the more dangerous the more you’ll pay). Document & Administration Fees: These fees are normally charged by the freight forwarder or NVOCC directly and cover the cost of providing documents to the relevant governments, shipping companies and other relevant parties. Moreover these fees also cover their cost of freight forwarders own costs of operations and their profit. BAF & CAF – Bunker adjustment factor (BAF) & currency adjustment factor (CAF) are two other feels that you may encounter. BAF refers to adjustments based on oil prices and CAF is based on adjustments to currency risks against the US dollar. VAT & other Taxes – Depending on the origin and destination ports, VAT and other taxes more also be applicable in addition to all of the above. Both freight forwarders and NVOCC can both help you move your goods by a variety of modes of transportation. 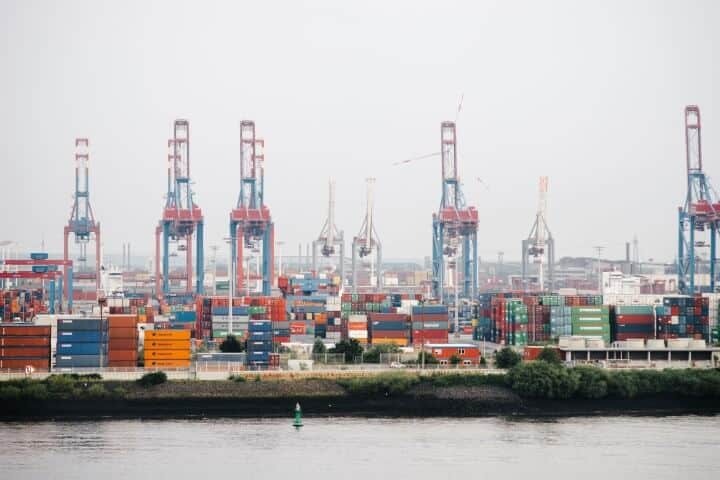 For NVOCC’s this is most commonly done via ocean going container ship, whereas as forwarders may specialise in particular type of land transportation. Sea freight – The majority of the world’s freight and cargo is shipped via container ships. This is the cheapest method of transportation, but only helps get your goods from one port to another and is usually not a door-to-door solution. Ships can be ocean going, coastal or travel by inland waterways. Air freight – While air cargo is incredibly popular, it only really makes sense for high value, perishable and/or time sensitive goods, due to the relatively high cost compared to ocean going cargo. Road freight – In most countries most cargo is delivered to and from ports and/or airports via truck. Depending on the distance travelled and road conditions, it can often work out cheaper than air freight, but more expensive than sea freight. Rail freight – Rail transportation can be the cheapest method of overground transportation in countries with well developed freight rail networks. However, rail transport will almost always still involve a truck at either end. All transportation methods above will allow for LCL (Less container load) and FCL (Full conatiner load) shipments. A good freight forwarder will help you get the best deal no matter what you’re shipping. Distance and destination – the further your goods have to travel the more expensive it will be. Similarly less frequent routes and especially dangerous ones will cost more. Types of good being shipped: dangerous goods, perishable goods, and outsized goods will all result in higher rates. Below we’ve listed the largest ocean and air freight forwarding companies along with the largest NVOCCs. However, you may also want to check out our guide to international shipping companies and international moving companies for a more complete idea of all your shipping options. Source: JOC you can also find a complete list of the 5,000 US licensed NVOCC companies on the Federal Marine Commission’s Website. The following are just a few of the organizations and associations that help to regulate the global freight industry. Given the sheer number of freight forwarders and NVOCCs operating in the world, picking the right one can sometimes feel rather overwhelming. If you’re planning on using one for an international move, you can easily compare companies with our moving quote service. However, while moving companies make moving good between countries simple, they are not usually the cheapest for regular freight shipments. Therefore, you might end up needing to work with a few freight forwarders before finding one that offers you the combination of services and price you’re looking for. Do they clearly explain their prices? – A good freight forwarder should clearly explain their prices for each of their services when giving you a quote. This will make it easy for you to compare apples to apples when comparing companies. Some companies may leave out the costs of key services such as insurance or document handling fees to make themselves look cheaper. Always find out what the total cost for your shipment is going to be before deciding on a company. Are they friendly? – The next consideration is how friendly is the freight forwarder. While working a freight forwarder is a business transaction, international shipments can be quite complex. And thus may require quite a bit of back and forth and patience. Better to do this with someone you get along with rather than someone you don’t. Do they have experience with the shipping method(s) you’re thinking of using? – Some freight forwarders focus on trucking and road haulage, while others focus on sea freight and others focus on air freight. Companies with complex logistical needs across many methods of transport will need a very different partner than those who just need a truck to move goods from point A to B. Do they experience working in your industry? – Another consideration when looking at freight forwarders and NVOCCs is whether or not they work with other companies in your industry. Some companies are better suited to help handle the logistics moving perishable items such as food and others are better at handling car transport. This becomes especially important when shipping internationally, because the customs clearance process not only varies widely between countries but also between industries. Do they clearly explain who will be doing the actual shipping/transportation? – Keep in mind that your freight forwarder will help you arrange shipment of your goods, but will not be doing the shipping themselves. However, they should be willing to make it clear to you which companies will be doing the shipping throughout the whole process. Are they a member of any trade associations? – Most reputable freight forwarders will belong to at least one, if not several, trade organisations and associations such as: NCBFAA, IATA, WCA, etc. These associations enforce minimum standards and while they do not guarantee quality, they are a good indication of it. Do they have agents working in both your outgoing and destination cities/countries? – Most smaller freight forwarders have offices in only one or at best a handful of cities. If they don’t have an office in both your origin and destination cities, then it can make it difficult to troubleshoot problems should they arise. This is especially important if there are any Incoterms rules disputes, customs delays, strikes, etc. However, many freight forwarders get around this issue by having affiliated agents working across a wider range of destinations. Just be sure to find out what arrangements and points of contact will be for your shipment. Do they offer insurance? – Some freight forwarders offer insurance and some do not. Make sure you find out if yours does and if so if it’s included in their normal quoted price. Moreover, make sure that the insurance coverage is both sufficient for the value of your goods and also covers all modes of transportation. Do not ever transport your goods without proper insurance, unless you can afford to gamble with their full value. How big is the freight forwarder? – Smaller freight forwarders often wish to appear bigger than they are. This is normally done in an attempt to convey trust. Don’t be afraid to ask how many offices the company owns, how many employees it has, etc. Just keep in mind that freight forwarders sometimes try to skirt around the issue by talking about the number of offices they have, the number of agents they have, etc. Often these offices and agents may work for multiple companies. Finally, small is not necessarily bad many small companies can offer your much better personalised service than a big faceless logistics company. Moreover, because they often have lower overheads they can often offer lower prices too. Does the company have any online reviews and/or willing to let you speak to past customers? – Finally, the last step before choosing a freight forwarder or NVOCC is to read as many reviews about them and ideally speak personally to past customers. Forwarders that go above and beyond for their customers will be happy for you to speak to their past customers as these will be their best salespeople. Just be sure to ask lots of questions, to find out what the company is really like to work with.